In autumn, Tuscan thoughts turn from beach to vineyard as the region prepares for one its favourite traditions, the vendemmia (wine harvest). After a year’s worth of careful tending, trimming and tasting, the grapes are ready to be transformed into what is music to every Tuscan’s ear, vino nuovo (new wine). Here is a selection of Tuscany’s best wine festivals. As old as act of making wine itself (or at least that’s what the locals say), this is your chance to taste the region’s reds and whites as the locals intended, away from fussy cellars and stark wine shops and accompanied by plenty of good food and questionable harpsichord solos. Close to celebrating its 50th edition, the Expo del Chianti Classico is the event for the serious Tuscan wine buff. Hundreds of stands are set up in the gorgeous main piazza, representing the best of local Florentine and Sienese producers. Throughout the festival, there is ample time to taste and buy from the winemakers as well as plenty of free lectures on the history and cultural significance of Chianti, guided tours through the town, live music, DJ sets and… the annual highlight, super bingo! The grand dame of Tuscan wine festivals, Impruneta’s Festa dell’Uva dates back to 1926, making it the oldest celebration of ‘vino’ in Italy. And it’s a celebration not just of the local tipple, but also the grape growers and wine makers that define their cultura contadina(farming heritage). 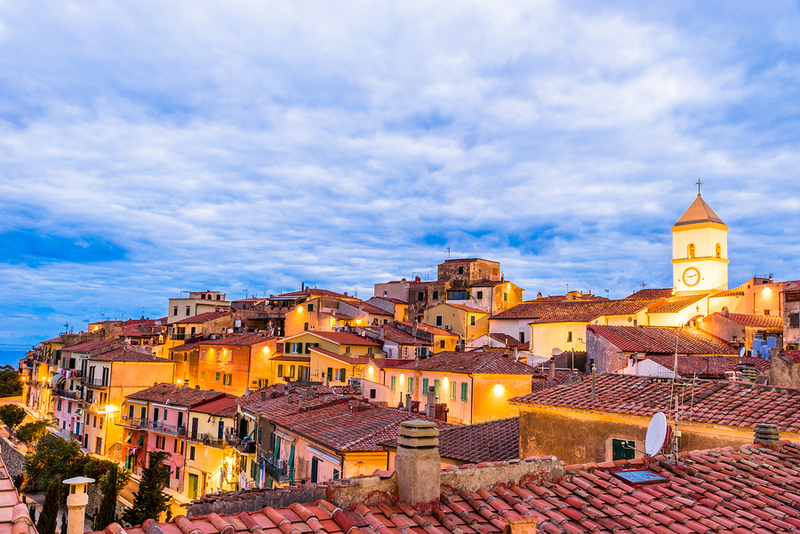 Sure, there’s plenty of wine to taste – here the locals are partial to the Toscano I.G.T - but there’s also an action-packed cart race between the four town districts, which duke it out for a hand-painted cup and a year’s worth of bragging rights. In Chiusi, no bottle of wine can be enjoyed without something delicious to eat and so the three town districts have taken it on themselves to open pop-up restaurants every evening from 8pm. Here you can taste the best the region has to offer cooked to perfection by the local nonnas and mammas for a steal. Think homemade pici pasta with your choice of three sauces, roasted squab, snails on Saturday and steak on Friday, liver cooked in a rich tomato sauce and porchetta. If you’re not convinced there’s plenty of greasy street food to chase down that glass of Tuscan red. Don’t let the name fool you. The majority of Tuscan towns chose to adopt the rather unimaginative name “festa dell’uva” (literally wine festival) for their event, but doesn’t mean they’re all the same. Each stands out for its tipple of choice as well as the way in which its celebrated. 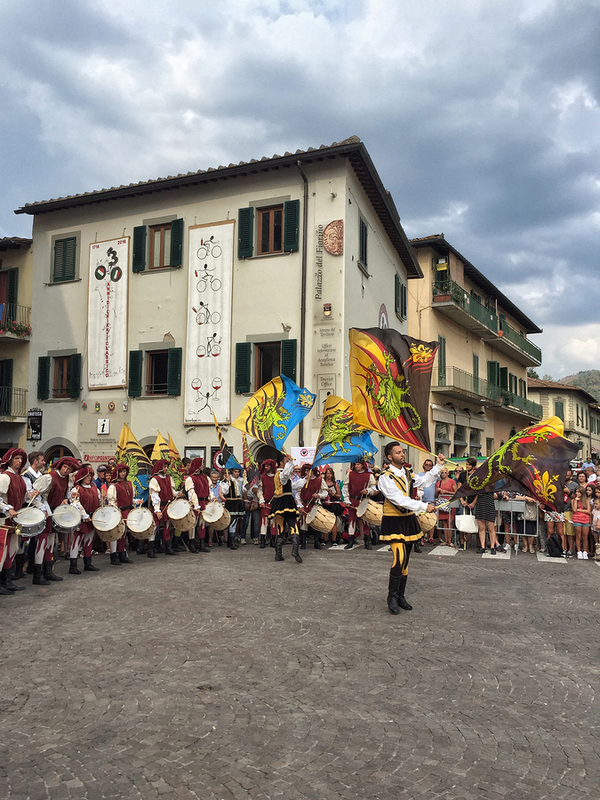 In Cinigiano, where the wine is the robust and rather rough-around-the-edges Morellino di Scansano, it’s all about beautifully constructed floats, costumes and dance routines. The perfect excuse to visit Napoleon’s old stomping ground, Elba Island. Capoliveri’s Festa dell’Uva is a strictly local affair that revolves around the four town districts. Each closes its doors to visitors in the weeks prior, decorating their streets and houses in honour of Bacchus. The winning district is awarded the God of Wine’s goblet and the festivities can begin. Like this article? Than don't miss "Il Vino in Italia - Wine-Related Vocabulary You Need to Know." 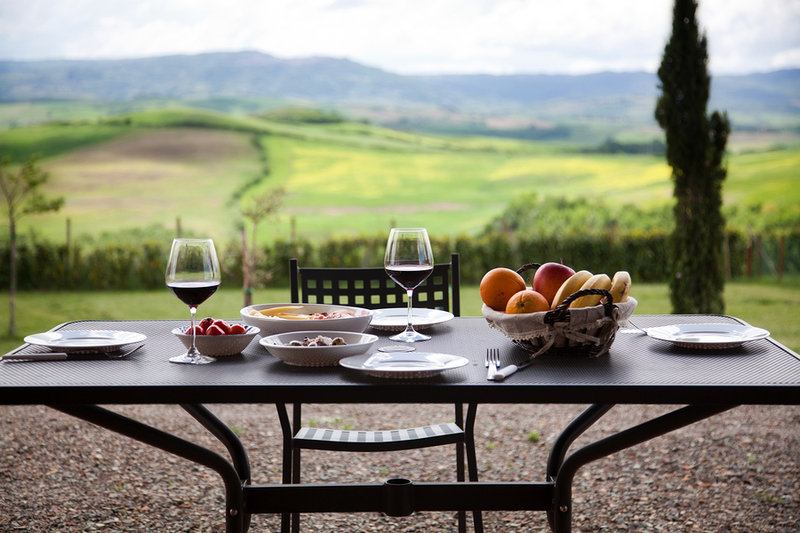 Tuscany’s wine festivals aren’t just about enjoying a glass or two with some good grub. They’re also a chance to wet your palate and stock up on the region’s best established and up-and-coming vintages. Sangiovese is Italy’s numero one grape. The name means ‘Blood of Jove’, aka Jupiter, the Father of the Roman Gods. Sangiovese is at the core of Chianti, once regulated to the dirty tables of less than savoury Italian trattorias, Chianti is making a respectable comeback and is a feature at all of Northern Tuscany’s wine festivals. The most common Chiantis have sour cherry notes with hints of tomato and tea leaves, violets, herbs, earth, liquorice and leather. You can grab a bottle from one of Chianti’s heartlands, Greve in Chianti. Southern Tuscany’s favourite tipple is also packed with plenty of Sangiovese. The Morellino di Scansano is Tuscany’s youngest DOCG wine. Its name stems from the word ‘morello’, either the dark red morello cherry found in the area or a local nickname for the brown colour of its horses. The Morellino di Scansano is rough around the edges, full-bodied, fresh and fruity with ripe notes of plum and other dark fruits. You can have a taste in Magliano in Toscana and Scansano. Tuscany isn’t famous for its whites, but if you’re partial to something lighter, stuff your suitcase with the Elba Ansonica. Named after the region’s favourite white wine grape, the Ansonica has an intense aroma and a flavour the drifts from dry to sweet.